The problem with terms like open pollinated and heirloom is that they get used a lot but don't have very clear definitions. We would probably all be better off if we just stopped using them. If you break them down, you get two important dimensions: pollination method and zygosity. So, an heirloom is usually homyzygous and self or population pollinated. An F1 hybrid is usually moderately heterozygous and narrowly cross pollinated. A landrace is highly heterozygous (at least for a while) and open pollinated. Entire books are written about how to grow potatoes, so you aren't going to get a full accounting in a forum post. In general, I find that potatoes grow best in the ground or in raised beds. Towers yield poorly for the work involved. Straw and other alternative coverings invite animals to ruin the crop. Potatoes can be intercropped with other plants, but you need to make sure that they don't shade the potatoes or you are losing yield. An early sowing of quick maturing greens can often be sowed between potato rows if you aren't doing mechanical cultivation. There are two different problems involved in growing potatoes year on year: what happens to the soil and what happens to the potatoes. You have the obvious problem of nutrient depletion, but this can be solved by fertilization and some soils will have more reserve and take longer to deplete than others. The worse problem is that bacterial and fungal diseases and invertebrate pests will accumulate where potatoes are grown repeatedly. Most of the fungal diseases will not overwinter successfully without a host, but some will. Bacterial diseases like scab get worse and worse as their populations build in the soil and it takes a break of several years to reduce the population. It is the potato tubers that are the major reserve of disease. It is hard to get them all when you harvest, so you usually end up with some volunteers. These volunteers keep bacterial, fungal, and viral diseases alive through the winter to infect the next crop. If you can get all of the volunteers before you plant a new crop, that significantly reduces the problems of growing in the same ground, but this is a lot of work and requires major soil disruption. The biggest long term problem is replanting the same tubers. They will accumulate several very common potato viruses which are aphid transmitted and the problem will get worse and worse. Once you have viruses in the population, they will quickly infect even new, clean potatoes that you bring in. You can live with viruses, but they depress yields, often significantly once you accumulate more than one type. The best way to avoid this is to fully harvest your potatoes, eat them all, and plant certified seed each year. Even certified seed is not really virus free, but the prevalence is low enough that the viruses don't become a problem in that year. If you don't want to be involved in that system of high tech middle-men, then you need to be very attentive to roguing out plants that show any sign of disease and selecting varieties that perform best in your area over multiple years. If you are really serious about growing potatoes, even better would be to breed potatoes for your conditions, growing from seed and keeping the ones that show the best disease resistance. Until about 100 years ago, before the advent of virus testing and micropropagation, this is how cultivars were maintained. New varieties were grown from seed and abandoned when they "ran out" due to accumulation of diseases. First year: New potato "Farmer John's Wonder" grown from seed ball. Third year: Farmer John's Wonder now available in quantity! Fourth year: Farmer John's Wonder - best potato yield we've ever seen. Seventh year: Farmer John's Wonder just doesn't perform like it used to. Yields are poor. Eighth year: "Farmer Bob's Mortgage Lifter" grown from seed ball. Eleventh year: "Farmer Bob's Mortgage Lifter" - best potato yield we've ever seen. Most potatoes run out pretty fast, especially if you are growing them where you already have active virus infection. Still, you can often get a solid 3-4 years from seed grown varieties before you retire them. The term heirloom usually involves two different criteria: that the variety is true breeding and that it has existed for some arbitrary period of time, often 50 years. I think it is more useful to use these criteria separately. Most people care much more about whether a variety is true breeding than about how old it is. There is no authority that tests varieties to determine their purity or status. Most seeds that are protected by intellectual property are hybrids, so that limits attempts to claim them as heirlooms. 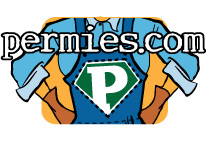 Cedar Woodchips mulch for Vegetable Garden? Western red cedar I presume? It doesn't break down as quickly as fir, so you have to take that into account. I have a lot of it here that I have chipped and used in the garden and they are still around after three or four years, while fir chips become soil in less than two years. Freezing seeds is usually a good idea if you want to keep them longer than their typical period of viability. Freezing can keep seeds viable for decades. Orthodox seeds can be frozen indefinitely as long as they are fully dried. It is best not to warm them up and refreeze because of the risk of condensation and possible metabolic effects but, in practice, you will usually get away with it. I package seeds for long term storage in quantities that I would be likely to use so that I don't have to remove them all and put some back. Recalcitrant seeds cannot be frozen, but these are usually seeds of tropical plants that aren't commonly grown from seed. 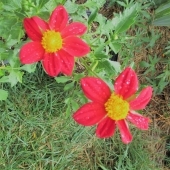 Dahlia coccinea is native to highland areas in Mexico. It would probably do very well in the Andes, but I doubt it would thrive in lowland Peru. what to say when they ask "what variety is this?" It sounds like anyone who has problems with the inulin in jerusalem artichokes might want to stay away from dahlia tubers then? I'd like to try to save seed from the ones I'm growing this year. Yeah, I think anyone who has trouble with sunchoke probably also will with dahlia. The research that I have read indicates that about 1 person in 3 has some level of fructose malabsorption and those people are generally going to find it difficult to digest fructose and, moreso, any kind of fructose polymer like inulin. Sunflower family plants produce an enzyme over the winter than breaks down the polymers into simpler sugars, so they often become more digestible by spring. You should definitely try growing out some of your own seeds. Even if you don't get very palatable varieties, it is quite interesting to see the huge diversity in the flowers. 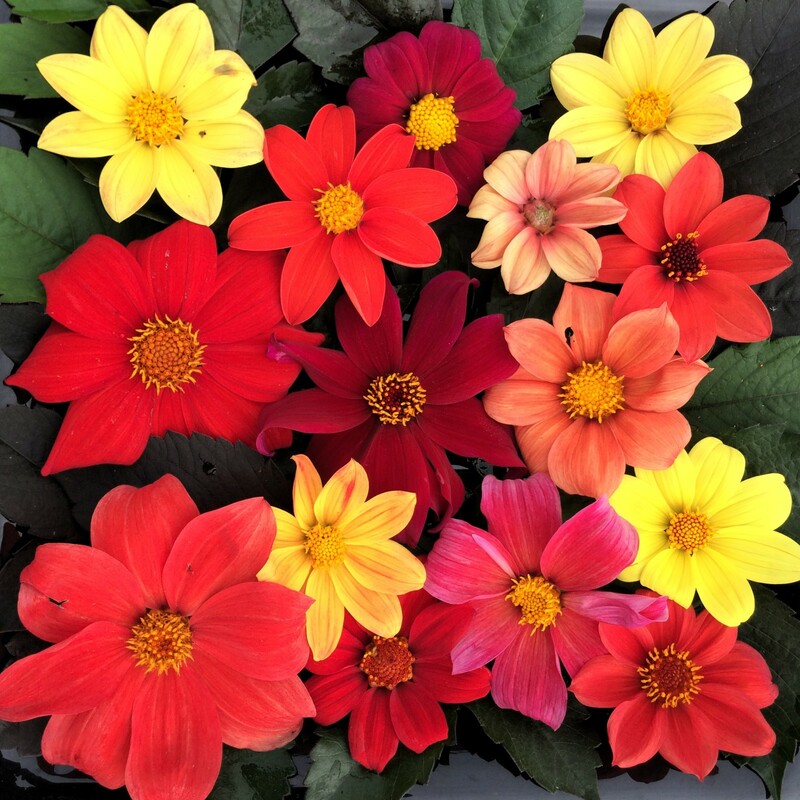 They are out of stock for several of the dahlia varieties but maybe that's a seasonal thing? We usually harvest dahlias around Thanksgiving and it takes a few weeks after that to get them cleaned up and listed in the catalog. I expect to have tubers of four good edible varieties from our trials this year and we should also have plenty of true seed. Odds of getting a good edible from D. coccinea are a bit better than D. pinnata. We have taste tested several hundred ornamental varieties and selected 5 that had good flavor, so the odds of getting a good one from standard ornamental varieties aren't that great. Crosses made between the best tasting varieties turn out about 20% progeny with good flavor, so there is plenty of potential for selecting good tasting varieties if you are willing to do a little work. Take it easy the first few times you eat them in case you turn out to be sensitive to inulin. Most people tolerate them very well, but anyone with fructose malabsorption is going to have a bad time.